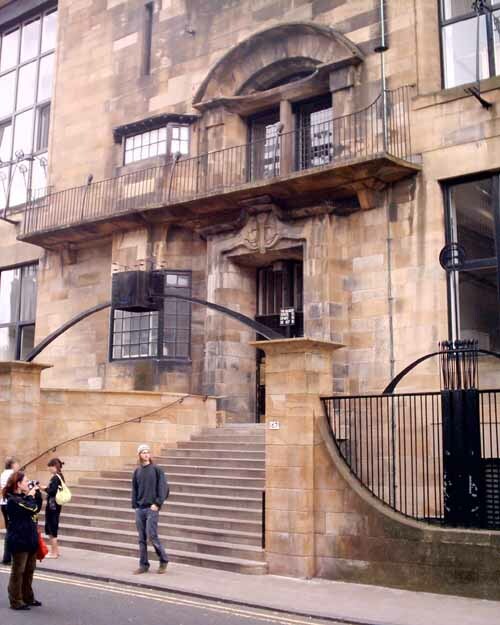 It is the finest building to have survived the medieval period in Scotland. 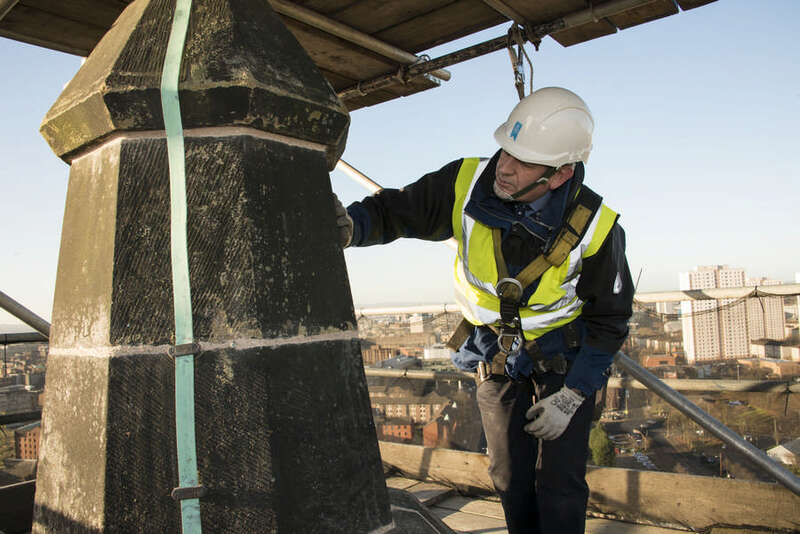 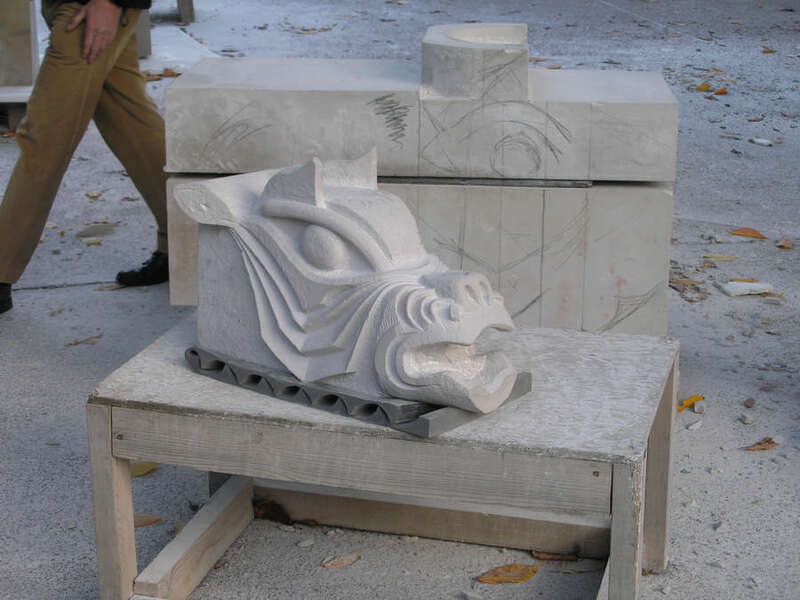 The work to conserve the cathedral is an intricate, long term project and there is a stone masons’ yard where stones are carved to marry in with the existing stone work but also carving of new gargoyles, window tracery and pinnacles. 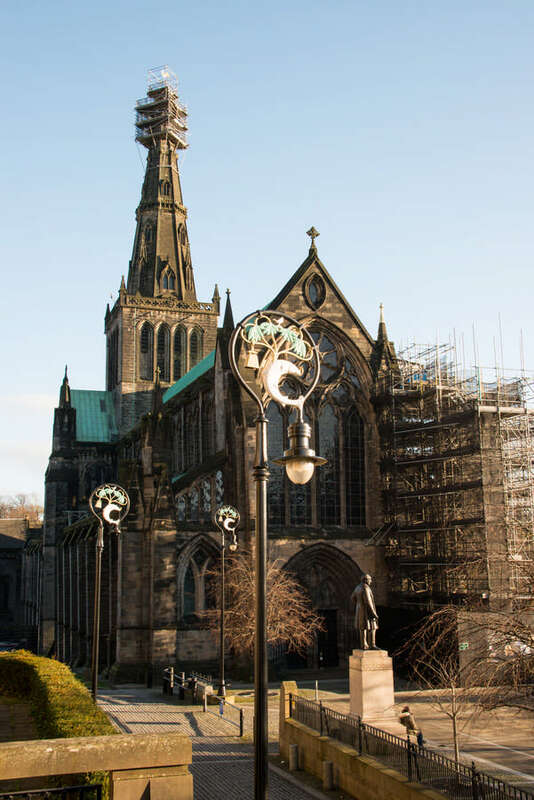 The project to restore the cathedral began in 2000 and is ongoing. 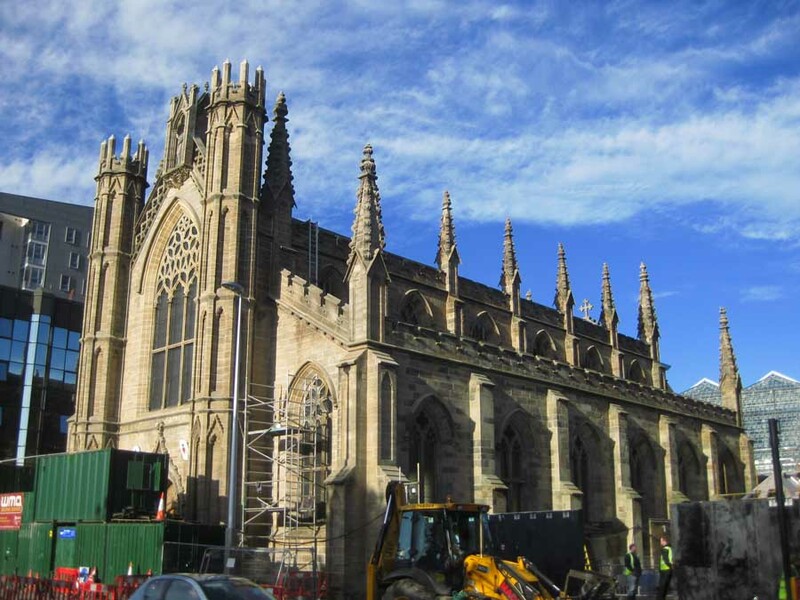 The conservation works on the East end of the building were completed around three years ago and work is continuing on the main façade and west front. 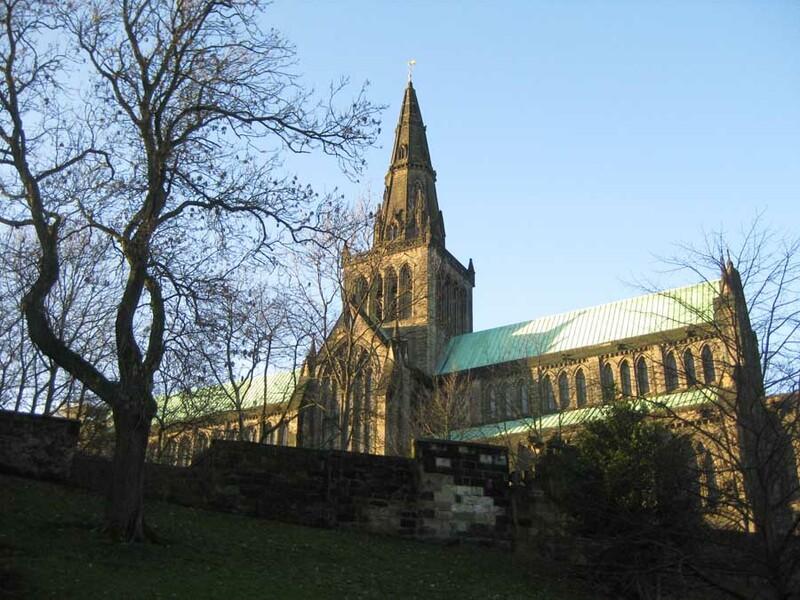 Glasgow Cathedral was built in the twelfth century and was the only medieval cathedral on the Scottish mainland to survive the 1560 Reformation, virtually complete. 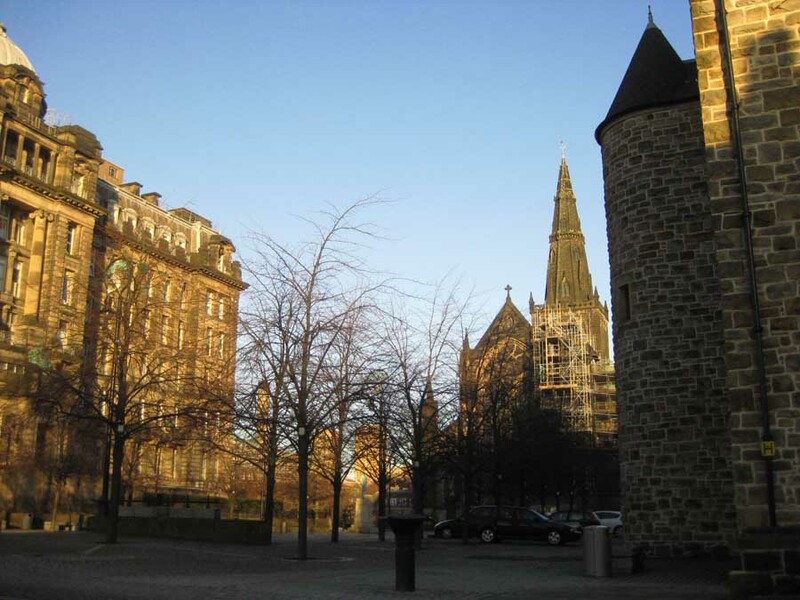 It is thought to be located where the patron saint of Glasgow, Saint Mungo, built his first church. 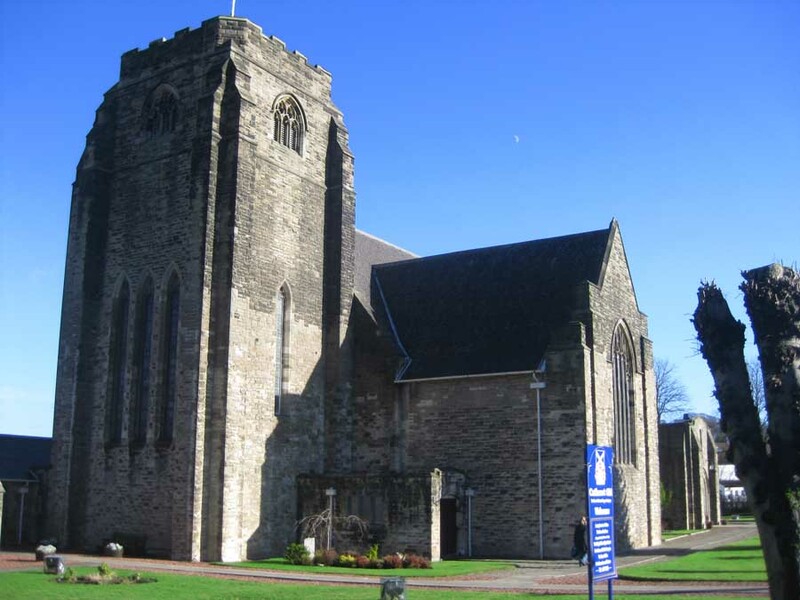 The tomb of the saint is in the lower crypt. 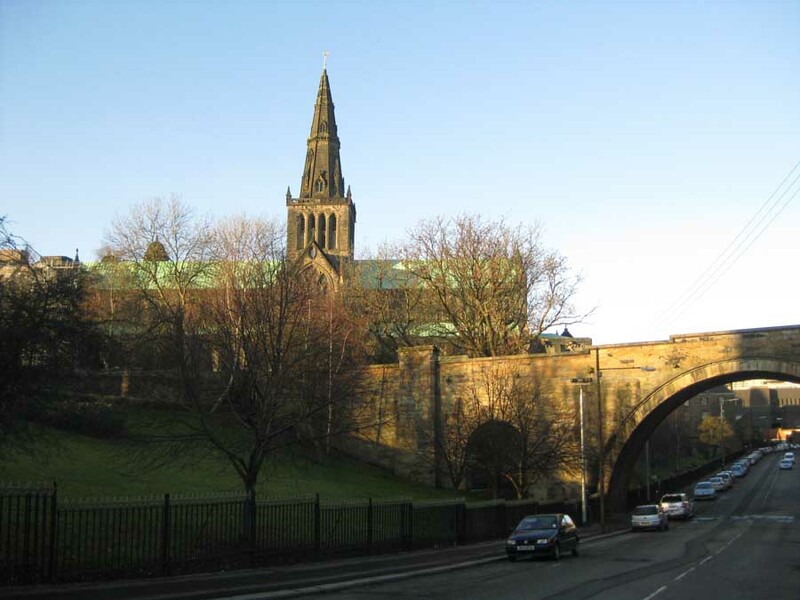 Pre-reformation building named after Glasgow’s 6th century patron saint, Kentigern – popularly called Mungo – to the north-east of Glasgow city centre. 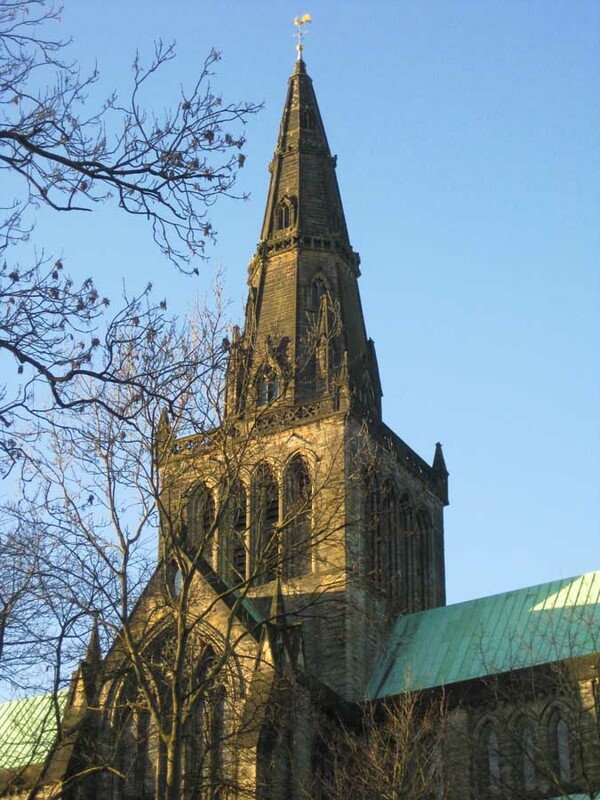 The first stone building was consecrated in about 1136, but after destruction, this cathedral was succeeded by a larger one consecrated in 1197. 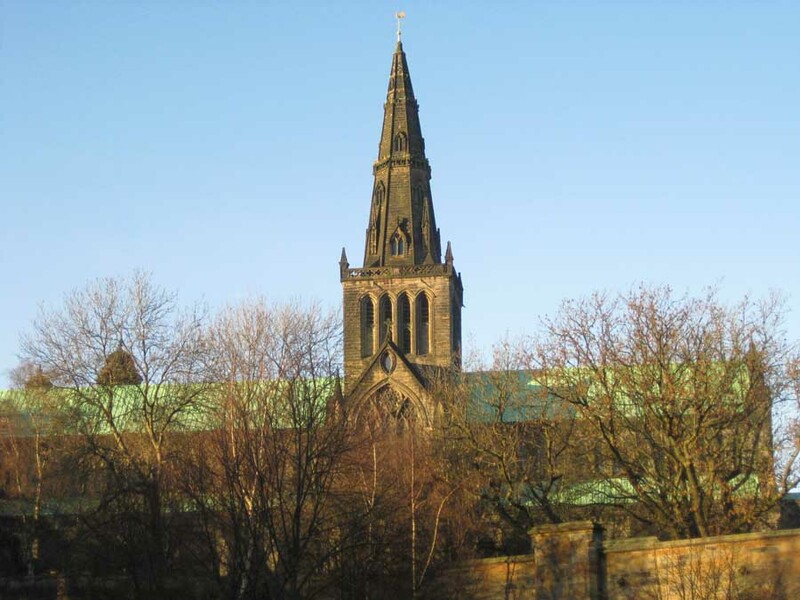 Most of the Glasgow Cathedral’s Nave dates from after 1330; the West Window dates from the late 14th century.